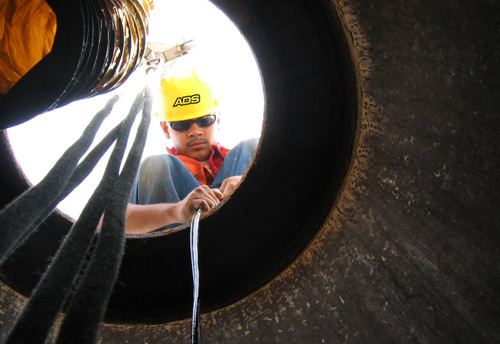 Flow monitoring is used to determine the hydraulic conditions of sanitary sewers under various conditions. Typically conducted over a 60-day period, temporary flow monitoring can be used to determine inflow/infiltration levels, calibrate dynamic hydraulic models, measure in-situ line capacity and detect bottlenecks within the system. Longer duration permanent flow monitoring networks can act as billing stations and can help cities and industries pro-actively manage their wastewater collection systems.